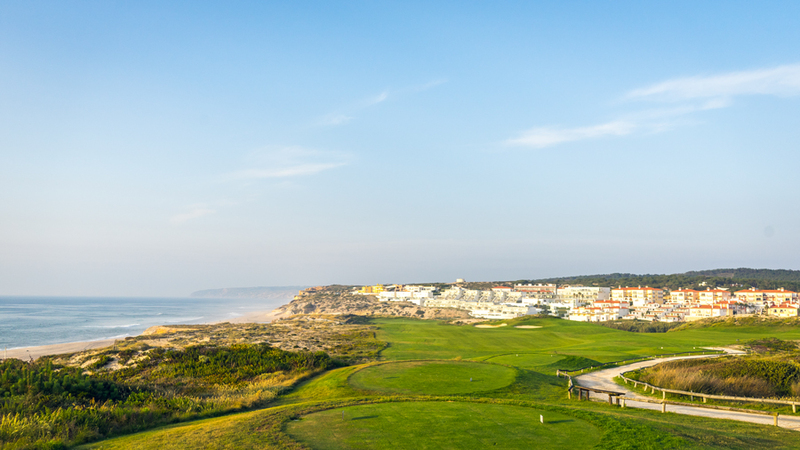 After two exciting days of sightseeing in Porto and another two in Lisbon we finally arrived at the Praia D´El Rey Golf & Beach Resort close to the beautiful town of Óbidos. After some days without the game I was really keen on golf again. 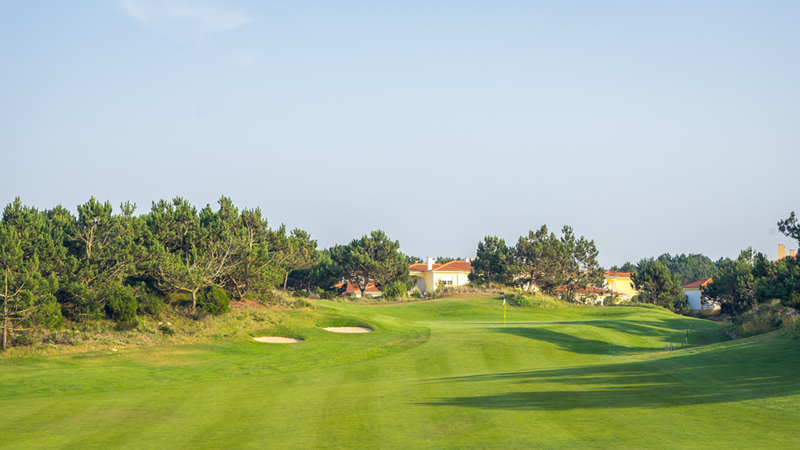 The Praia D´El Rey Golf & Beach Resort is just perfectly located. 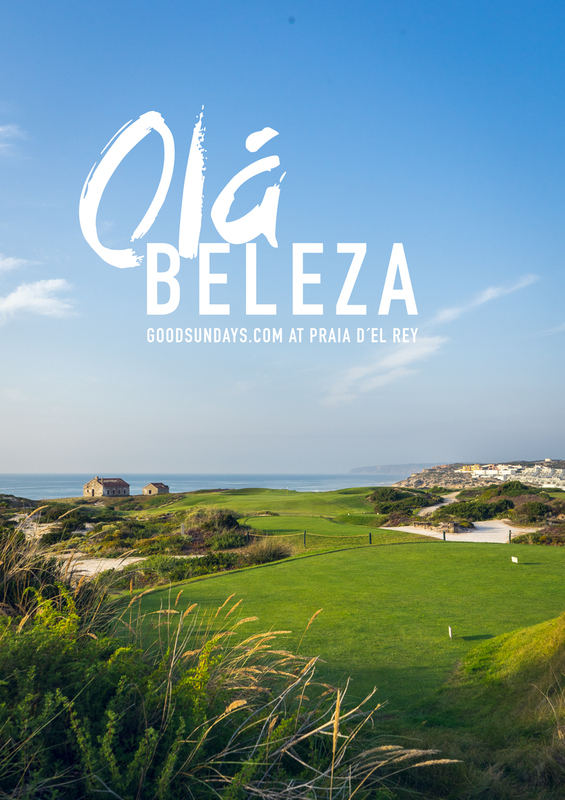 In a minute you can reach the beach and the club house of Praia D´El Rey first tee. 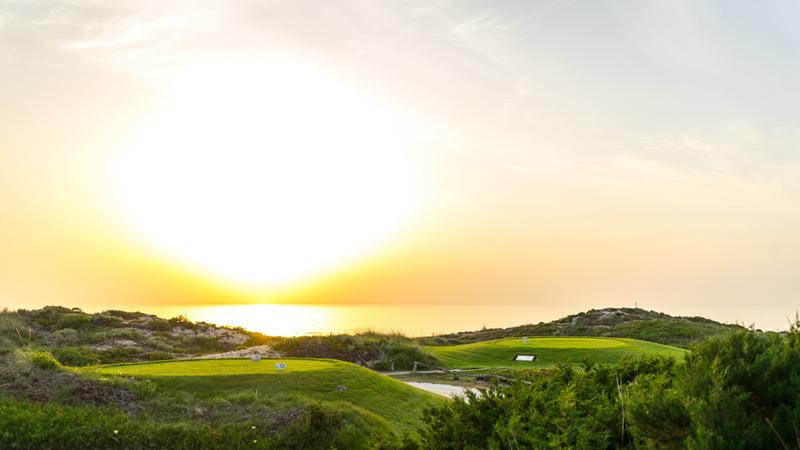 This 18-hole, par 73 golf course with 7.100 yards designed by Cabell B. Robinson is a fairytale dream set among fragrant pine forests and undulating dunes with spectacular views over the Atlantic Ocean. 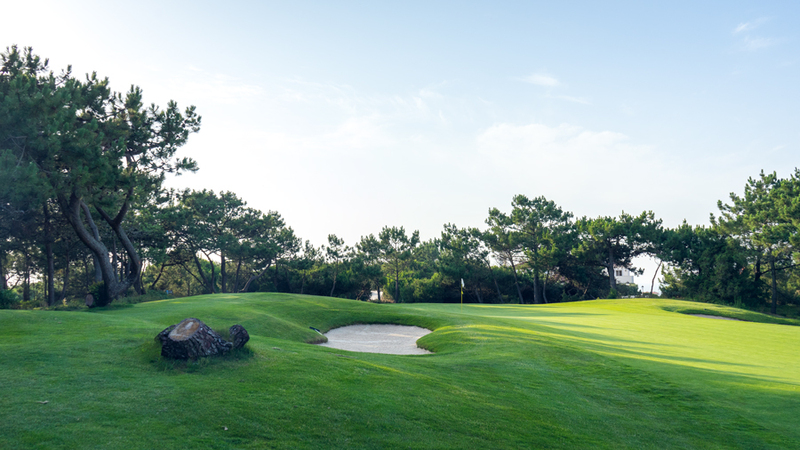 There is a reason why Praia D´El Rey Golf Course is rated among the top ten of Portugal’s Golf Courses. And yes, everything from the staff, to the club house, to the course was simply just right, perfectly in shape, friendly and organized. 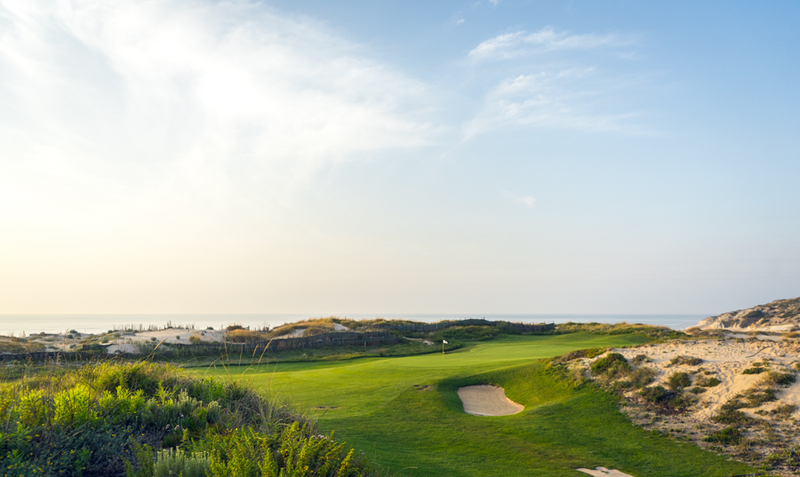 I really felt like I arrived in a golfers paradise again and I was really curious to play this amazing course. We had a late afternoon tee time starting on hole No. 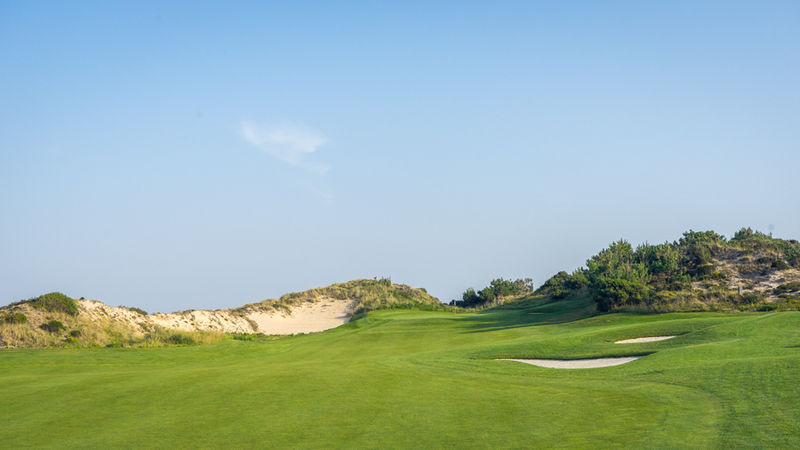 10 which was very nice because the back nine include some amazing holes along the sand cliffs. The incredible part starts with No. 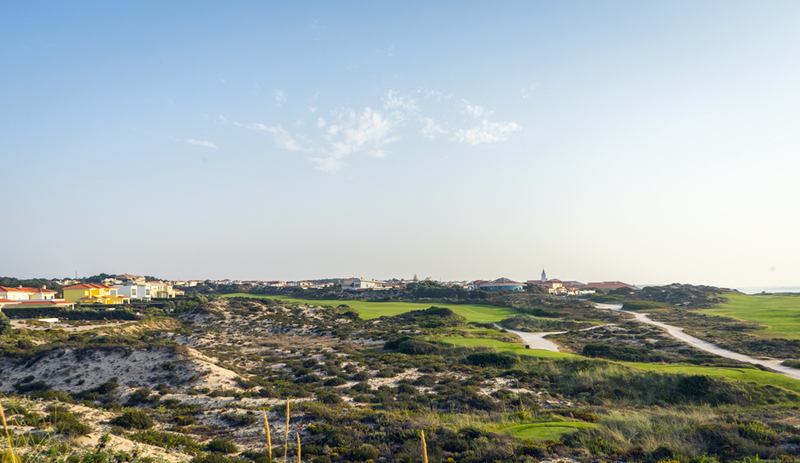 13, a short par 4 just next to the Atlantic Ocean, natural sand traps on the left and some fairway bunkers on the right. 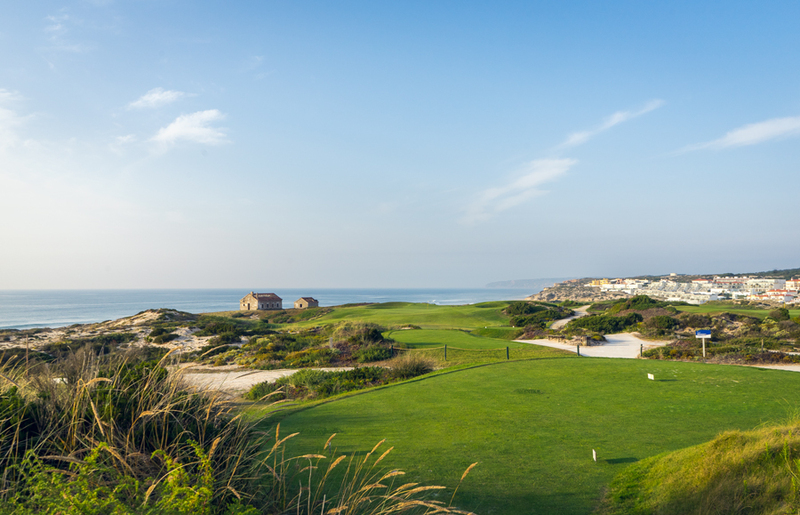 Not easy to play because of the awesome wild beach sceneries with its wonderful views. But the most exciting hole was No. 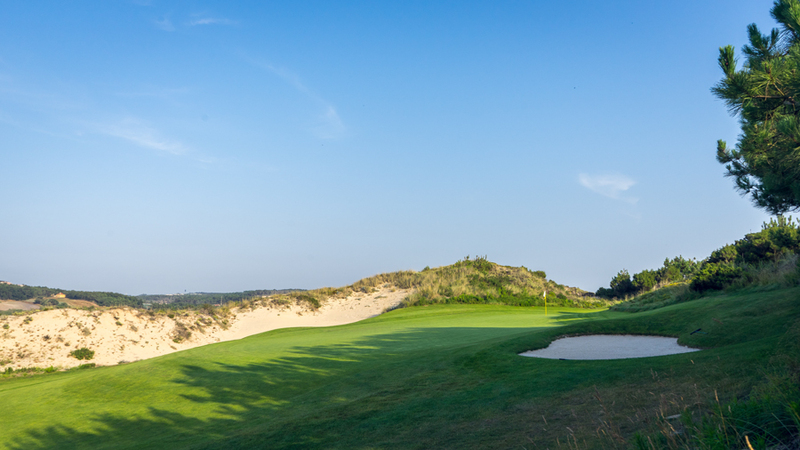 14 a picturesque par 3 with the nice old ruins on the left side on top of the sandy cliffs. 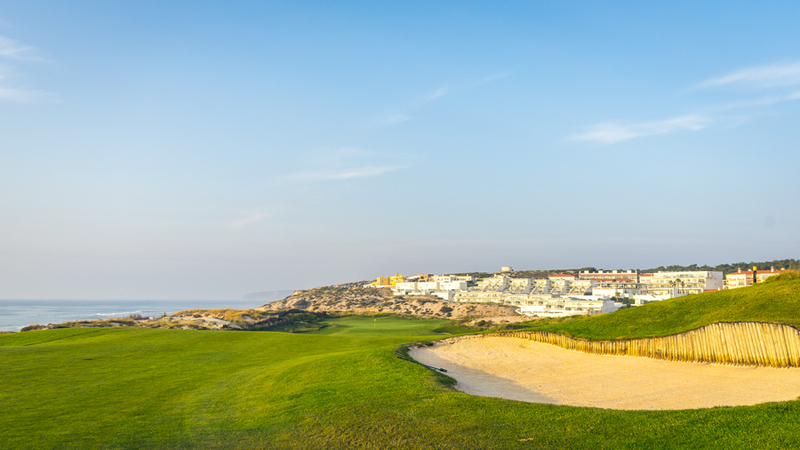 For me it´s just a gentle 6 iron from the white tees into the wind and a easy two putt for par on this iconic golf hole. Bob Ross couldn´t make it better than this. 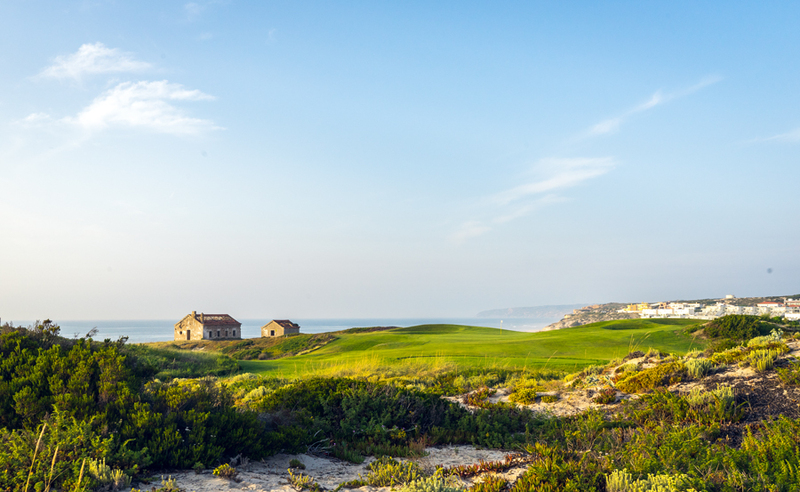 The next hole is again a breathtaking golf hole. 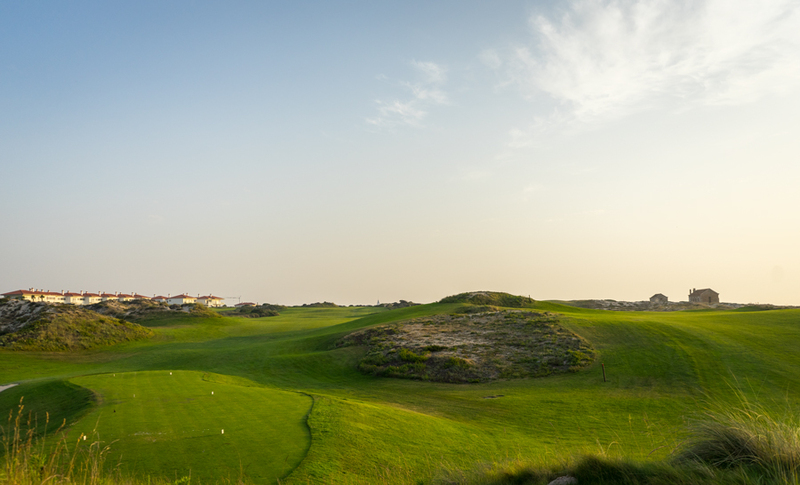 A 383m long par 4 with elevated tee boxes. 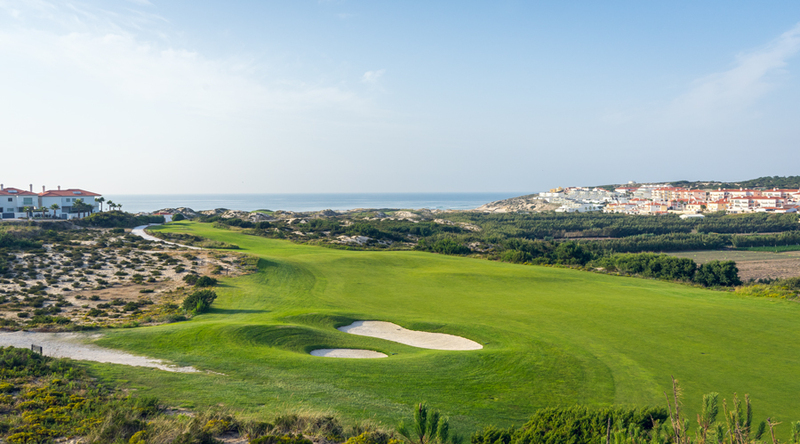 From here you can almost overlook the whole back nine and the stunning beach of Praia D´El Rey. It was an unbelievable essential experience, listening to the sound of the crushing waves, while playing this part of the course of Praia D´El Rey. 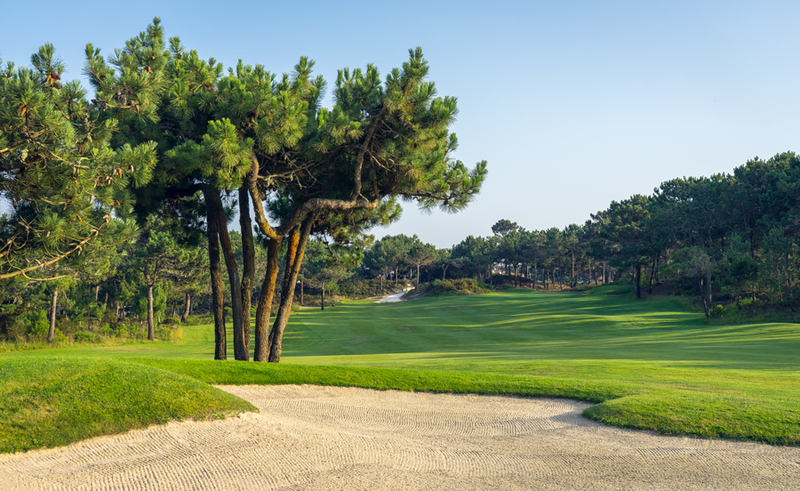 You need to be on the fairway on this part of the course or you´ll end up in this beautiful maintained natural sand traps. Trust me you don´t want to. 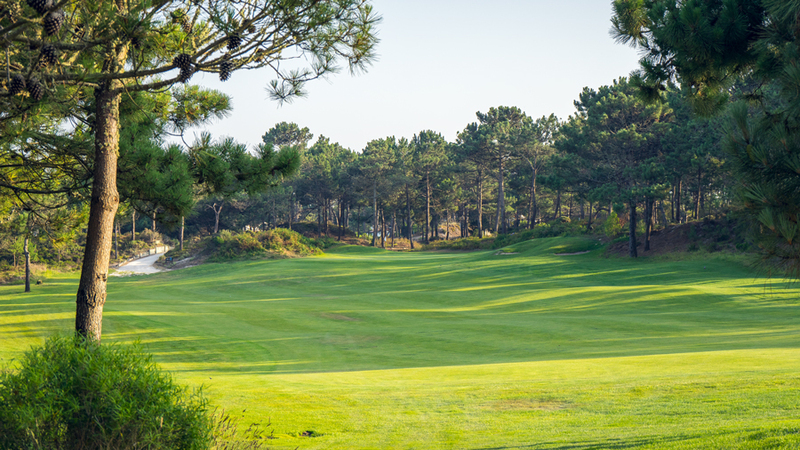 The front nine are totally different, they wind their way trough the Praia D´El Rey Golf & Beach Resort with pine trees on the left and right side of the fairway. Here my favorite hole was No. 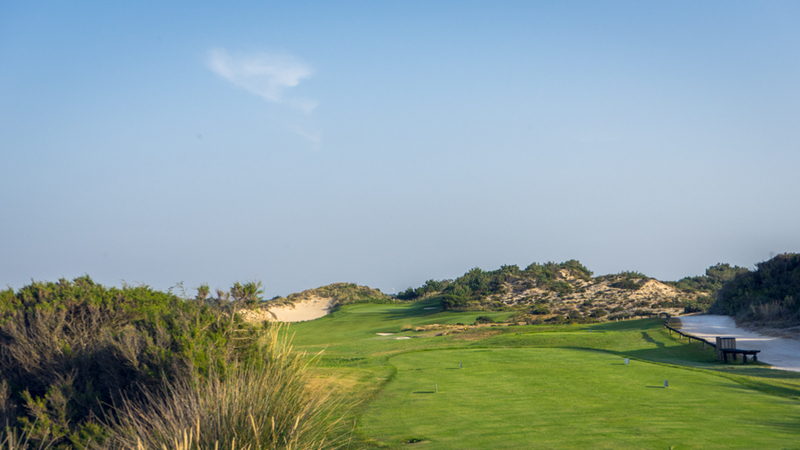 4 , a short but beautiful par 4 with 286 yards from the white tees. 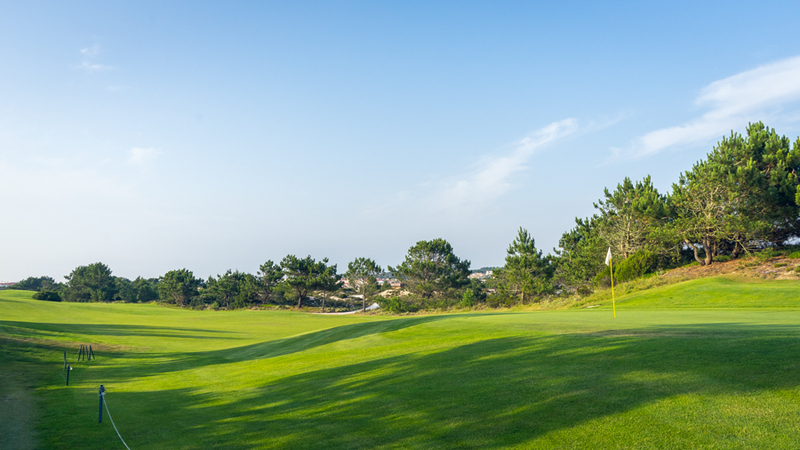 Accuracy is a huge factor, if you want to play par here. If there is the perfect wind, just give it a go. 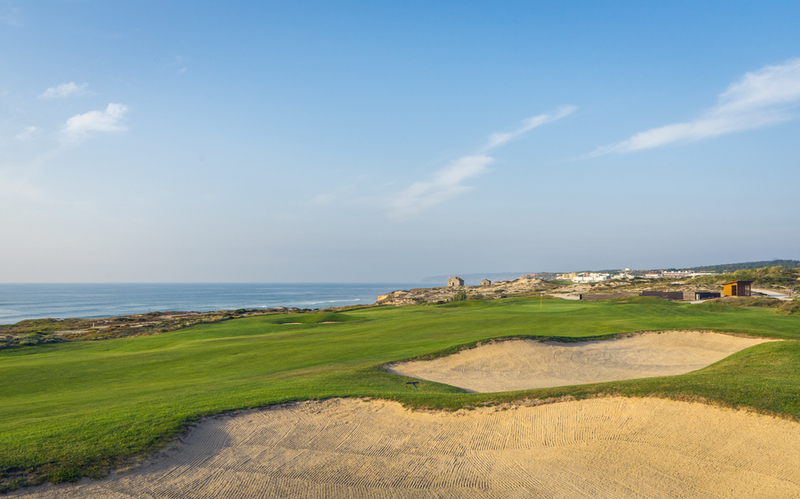 I played a lot of nice courses on my trip so far but for my first course in Portugal, Praia D´El Rey Golf & Beach Resort was predicate „valuable“ and already an iconic masterpiece golf course.